Got Broken Kitchen Appliances to Remove? Kitchen appliances sadly don’t last forever, and it seems the lifespan of many items like dishwashers and microwaves is shrinking. There are many reasons you may have decided to upgrade, some of these reasons being better than others. If your equipment simply doesn’t work, then purchasing a new one makes a lot of sense. For dishwashers, the technology they use has advanced so much in recent years, making them faster, do a more thorough clean, as well as saving power and water. With a good quality dishwasher, it is often more economical to use than washing the dishes by hand. 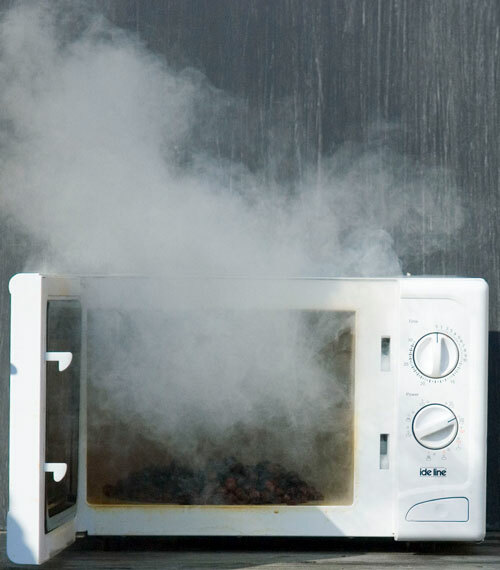 Microwaves are a bit different, the actual microwave technology hasn’t changed too much over the years, but the safety of the product has. These are just some of the reasons it may be worth thinking about an upgrade, if you haven’t done so already. Another common reason people upgrade their kitchen appliances is due to aesthetics and style – hopefully these items are sold or given away and not sent to landfill. Same-Day Rubbish Removal are the experts when it comes to fast, affordable and responsible junk removal. The age or condition of your microwave or dishwasher doesn’t matter to us, we’ll do everything we possibly can to make sure that it is disposed of in the most responsible way possible – if it can be recycled, we’ll recycle it. We know that garbage removal is the last thing you want to be spending money on, and that is why over the past 10 years we’ve streamlined our service so that we can do everything as efficiently as possible, saving you both time and money. You won’t find a cheaper rubbish removal service in all of Sydney. Our service is also super simple – we come to your location and you point out what needs to go, we’ll do all the work for you! Our friendly and experienced team never leave a job until it is 100% complete, so you can be sure your property will be looking spotless when we’re gone. It doesn’t really matter what type of kitchen appliance you need removed, we do much more than dishwashers and microwaves. Whether you have a fridge, freezer, stove or oven, we’ll take it. We do all types of furniture and appliances – washing machines, dryers, lounges, couches, beds, mattresses, just to name a few. If you’ve got old junk that needs to go, we can have it gone fast and affordably. We have fantastic rates for all areas across Sydney, so don’t wait any longer. Call Same-Day Rubbish Removal now on 0402 737 046.